Ethereum has received a lot of attention since its announcement at the North American Bitcoin Conference in early 2014 by Vitalik Buterin. The natural consequence of its rising popularity has been its constant comparison to Bitcoin, the first virtual currency. It is important for investors to understand the similarities and differences between Bitcoin and Ethereum. Bitcoin, the first virtual currency, was born nine years back in 2008. It introduced a novel idea set out in a white paper by the mysterious Satoshi Nakamoto: Bitcoin offers the promise of lower transaction fees than traditional online payment mechanisms and is operated by a decentralized authority, unlike government-issued currencies. There are no physical Bitcoins, only balances associated with public and private keys. Over these years, the acceptance of the concept of a virtual currency has increased among regulators and government bodies. Although it isn’t a formally recognized medium of payment or store of value, it has managed a niche for itself and continues to coexist in the financial system despite being regularly scrutinized and debated. The attempts to understand Bitcoin more closely resulted in the discovery of blockchain, the technology that powers it. The blockchain is not just the hottest topic in the fintech world but also a sought-after technology in many industries. A blockchain is a public ledger of all transactions in a given system that has ever been executed. It is constantly growing as completed blocks are added to it. The blocks are added to the blockchain in linear, chronological order through cryptography, ensuring they remain beyond the power of manipulators. The blockchain thus stands as a tamper-proof record of all transactions on the network, accessible to all participants. The blockchain offers a chance to work at lower costs with greater regulatory compliance, reduced risk, and enhanced efficiency. Blockchain technology is being used to create applications which are beyond just supporting a digital currency. Such applications are often referred to as Crypto 2.0, Blockchain 2.0 or even Bitcoin 2.0. The potential applications of Ethereum are wide-ranging and run on its platform-specific cryptographic token, Ether. In 2014, Ethereum had launched a pre-sale for ether which received an overwhelming response. Ether is like a vehicle for moving around on the Ethereum platform and is sought by developers looking to develop and run applications inside Ethereum. However, from a general point of view, Bitcoin and Ethereum differ in purpose. While Bitcoin is created as an alternative to regular money and is thus a medium of payment transaction and store of value, Ethereum is developed as a platform which facilitates peer-to-peer contracts and applications via its own currency vehicle. While Bitcoin and Ether are both digital currencies, the primary purpose of Ether is not to establish itself as a payment alternative (unlike Bitcoin) but to facilitate and monetize the working of Ethereum to enable developers to build and run distributed applications (ĐApps). In sum, Ethereum is an advancement based on the principle of blockchain that supports bitcoin but with a purpose that does not compete with Bitcoin. 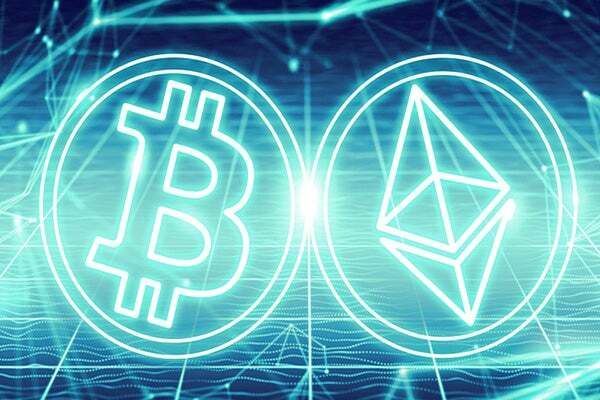 However, the popularity and rising market capitalization of Ether brings it in competition with all cryptocurrencies, especially from the trading perspective. Currently, the market cap of Ether (ETH) is more than Ripple and Litecoin, although it’s far behind Bitcoin (BTC). On the whole, Bitcoin and Ethereum are different versions using the blockchain technology and are set to establish themselves, driven by different intentions.